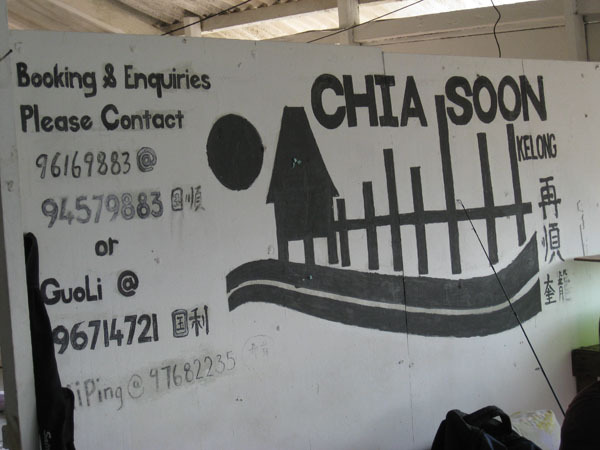 Chia Soon Kelong is situated in the south eastern coast of Johore in the Straits of Johore. 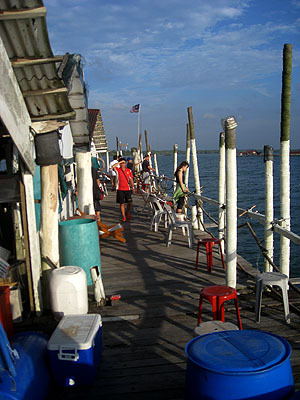 To get to the kelong you need to take a bum boat ride from Changi Point Ferry Terminal (the on at Changui Village). 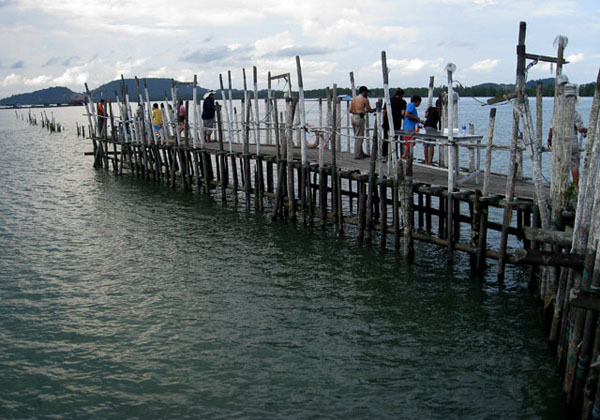 You need to clear Singapore's custom at the ferry terminal so don't forget your passport. 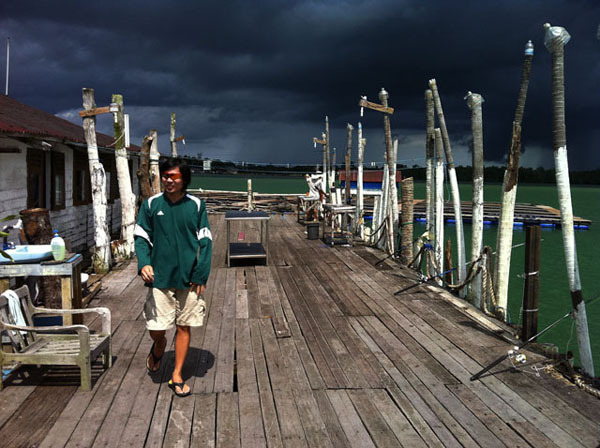 The boat will you to Tanjong Pengelih in Pengarang for customs procedures from the Malaysia custom, the trip takes about 40 to 50 minutes from Singapore. 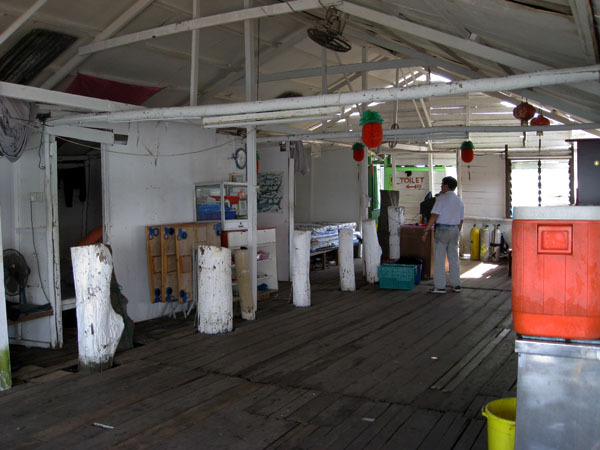 (From this point you can head towards Sungai Rengit town famous for its seafood (lobsters esp. 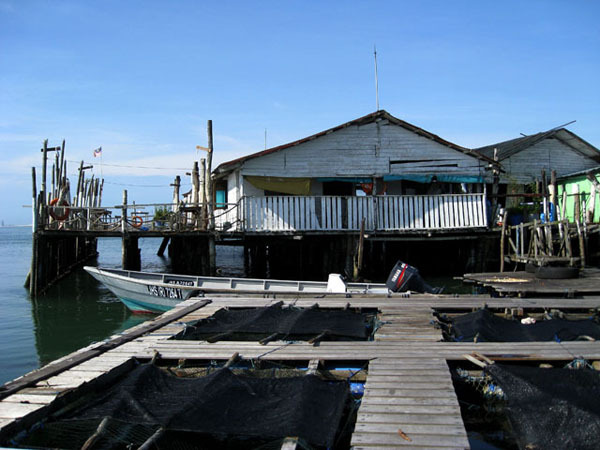 ), this is same town where most of the one day Desaru tours originating from Singapore will take you for lunch, but that's not our destination on this day.) 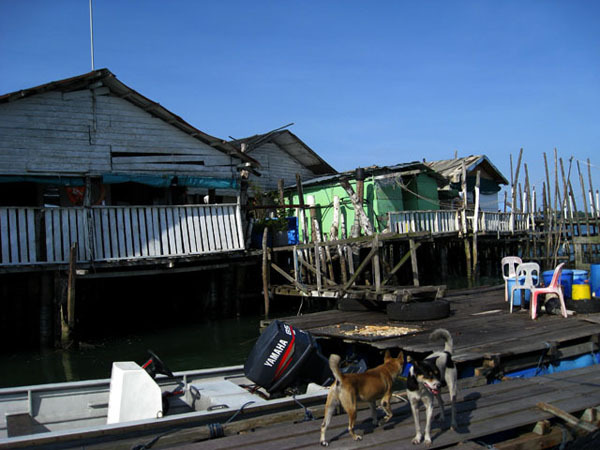 After the custom process the bum boat with will take you to the kelong, the ride will be about 10 to 15min to the kelong. 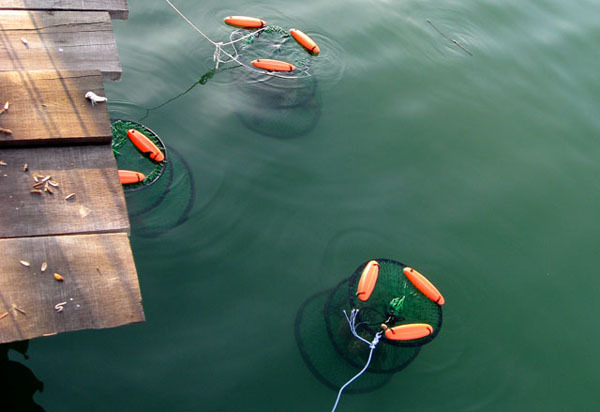 The kelong can be separated into 3 parts, the above image show the floating net cages. 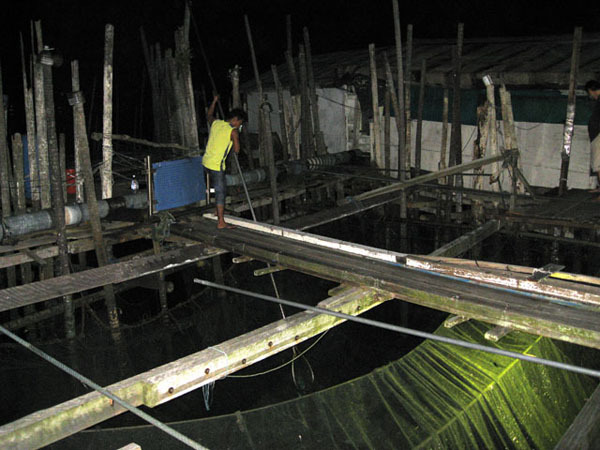 This is where the kelong culture their fishes, the fishes raised are groupers, red snapper (Ang Kuay) and (Ang Chor), and any fingerlings from good quality fishes they can catch from their host net. 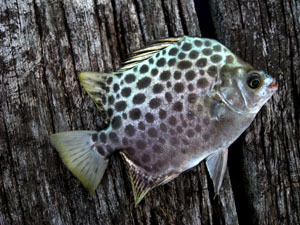 That includes diamond trevally, golden trevally, bat fish, etc, etc. 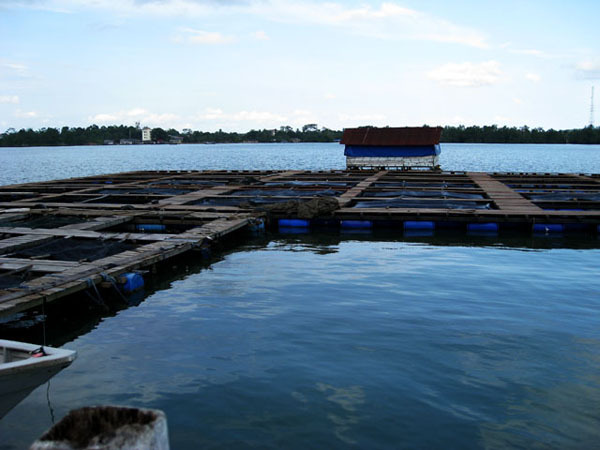 You are allow to fish on this floating platform. 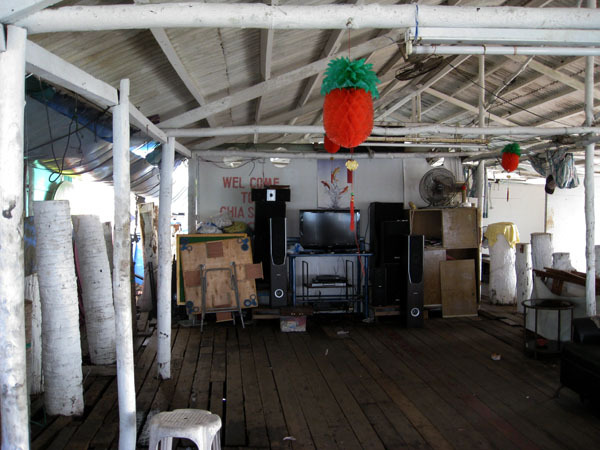 This is the view of the main structure, where you sleep and eat. 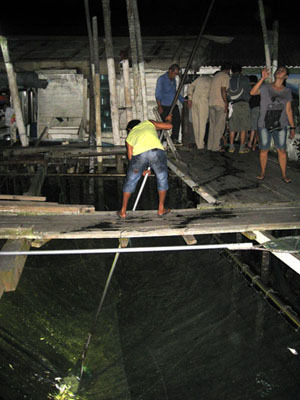 The image taken from the floating platform. 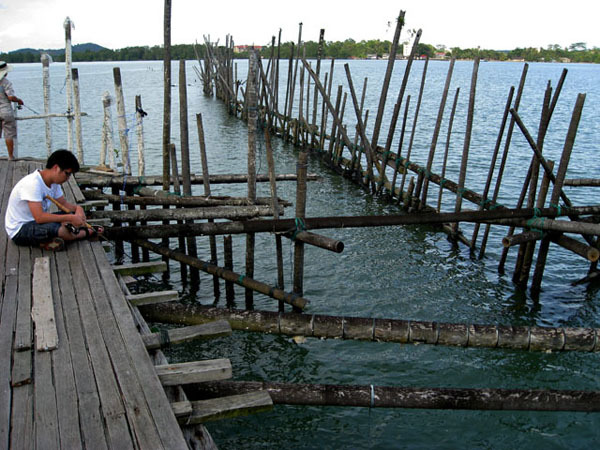 You can fish along this corridor which is fence by the white wooden railing. 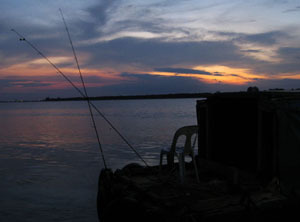 At time the fishing could be quite good along this stretch. 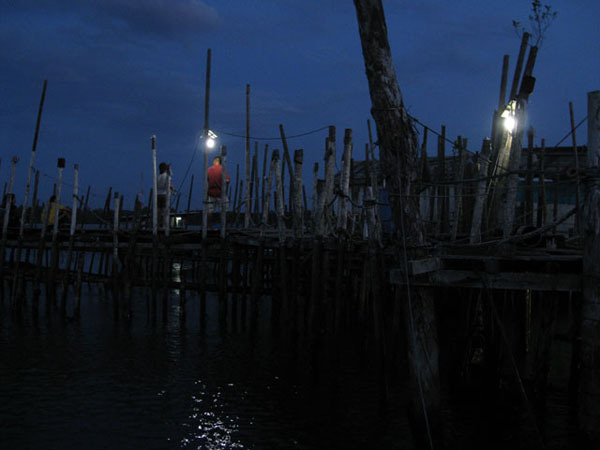 Above are images of the fishing platform on the main structure. 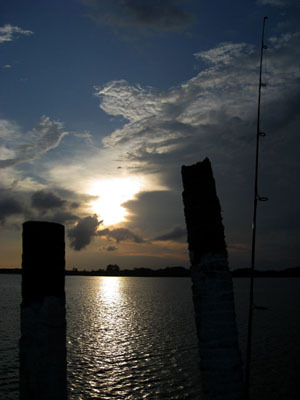 There are enough room here for a decent number of anglers. Only grief I have with this location is that there isn't enough rod holders to park your rods. 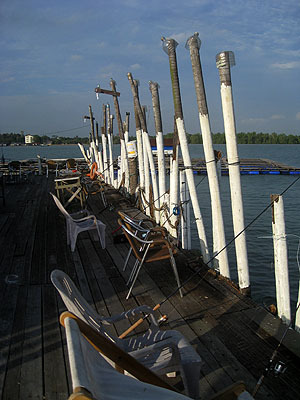 So angler usually lean their rod against the wooden or rope railing, the problem with leaning your rod on the wooden railing is, in the event a big fish take your line and swim under the kelong, your rod will be bent unnaturally inward and might snap. And it has happened, right at the location where the guy in black T-shirt and long pants is standing. 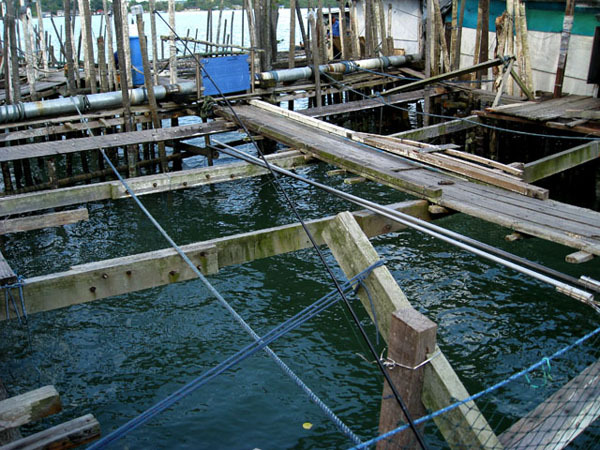 Attached to the main structure is the kelong proper, this include the "V"-shape wooden fish corral two images above and the hoist net which is under the water in the image immediately above. Basically you can fish from the whole structure. That is anywhere that has a platform that is. 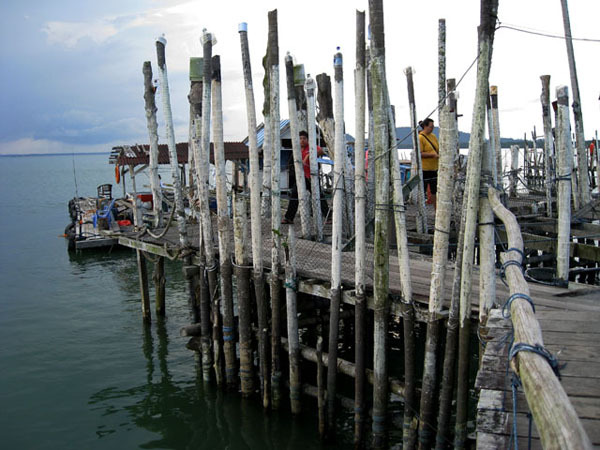 Attached to the kelong structure is a floating platform that you alight and board the boat from. 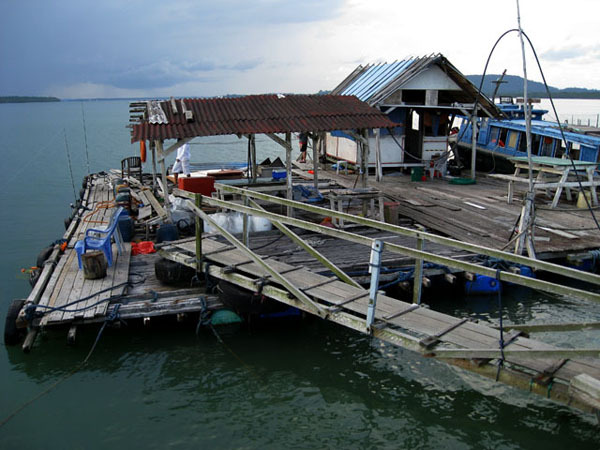 This floating platform is attached to the kelong using a bridge. 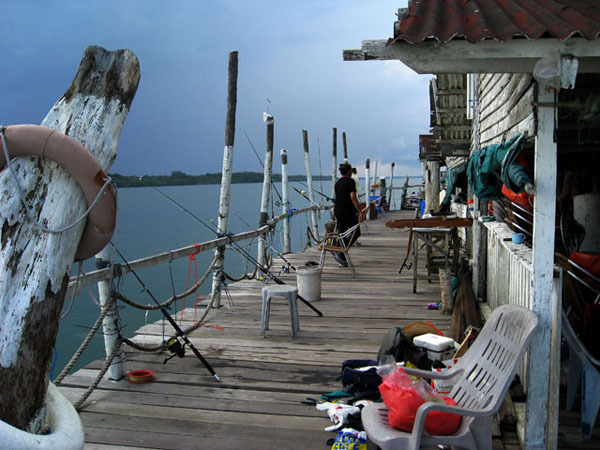 This is a pretty good idea, you needn't worry about the tide, unlike a fix platform like most of the kelong I have been. 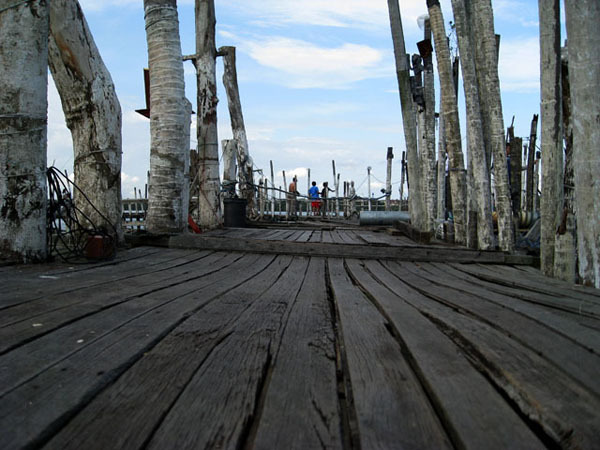 The platform also serve as a good fishing ground, and I've heard there are large groupers under the platform. There is also a man made wreck under this. 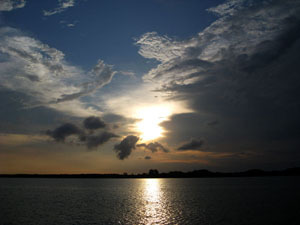 Sunset over Pulau Tekong. For those who don't know, Tekong is where some of us "Sons of Singapore" go to for 3 months for our basic military training. Yes, it part of Singapore and it's probably just half a klick from the kelong. Incidentally it's now 2 months for basic military training but some of us old soldiers still gets to visit the place when we have our reserve training or what we call reservist. The good thing about being so near to Tekong is that you can get SingTel connection. 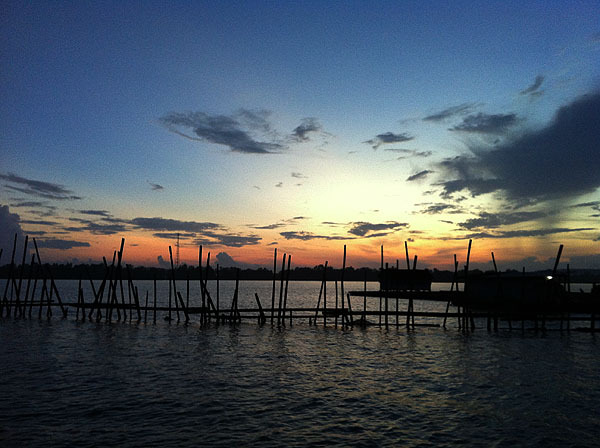 When the tide is right, and the current is flowing into the "V"-shape corral, the kelong hands will hoist the nets. 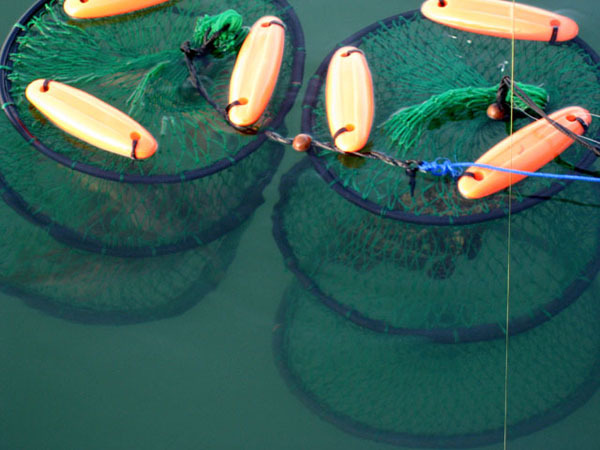 They will kept some of the fry of the quality fishes, so that they can raise them in the cages. 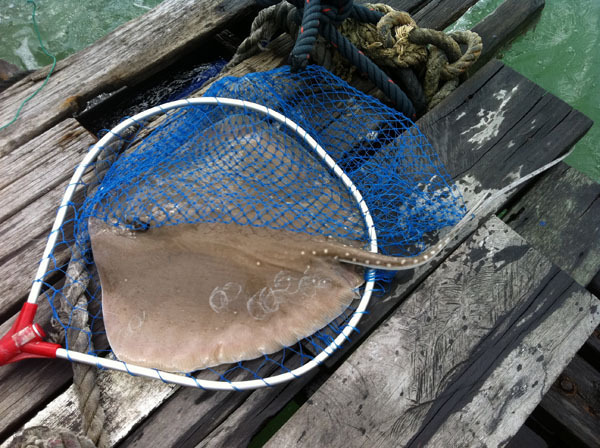 As for the rest of the fishes caught, all the anglers on board the kelong are free to collect some themselves to use as baits. 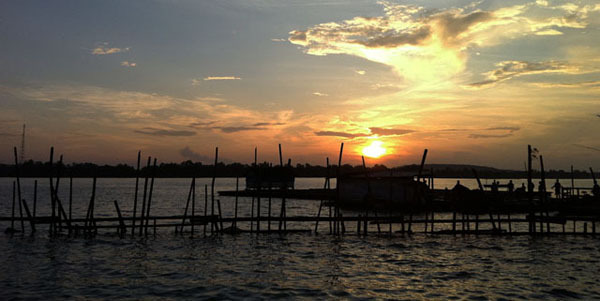 Whatever is remaining the next morning, will be use to feed their fishes. 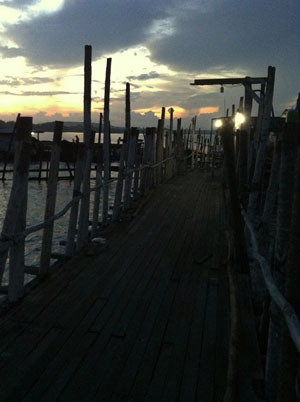 Morning at the kelong is peaceful. 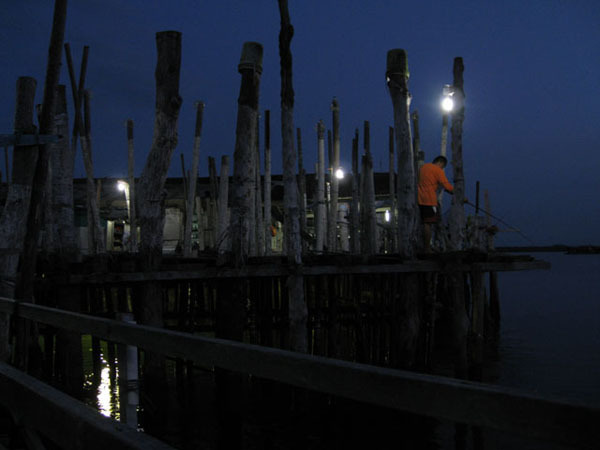 Some of the anglers are usually up before the sun. 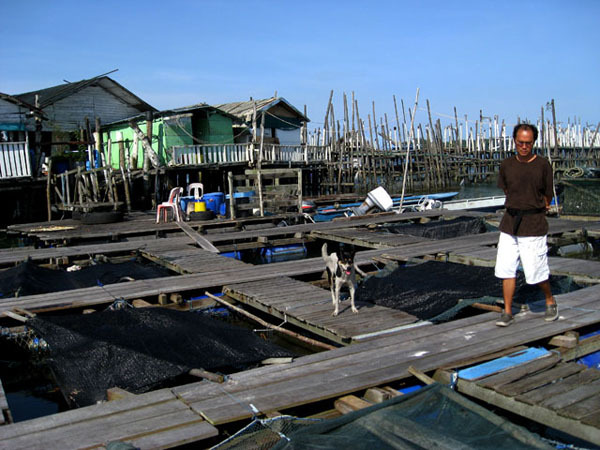 Food at the kelong is great. For our 2D1N trip, we depart at 8.30am, so we took our breakfast at Changi Village and had to pack our lunch as they don't provide lunch unless pre-arranged. But dinner is scrumptious and big, it starts with a noodle, a fish, a veg and deep fried prawns, then a steamboat and followed by a pepper mud crab. 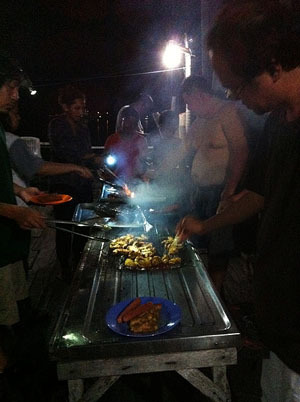 And supper is BBQ stingray, some hotdogs and chicken wings. Breakfast is free flow of fish porridge which is very good. Drinks are free flow. The images above shows the sleeping quarters and 2 dinning area. One of the dinning area also serve as the entertainment lounge where there's a TV and Karaoke set. There are mahjong sets and tables too for those non-anglers. 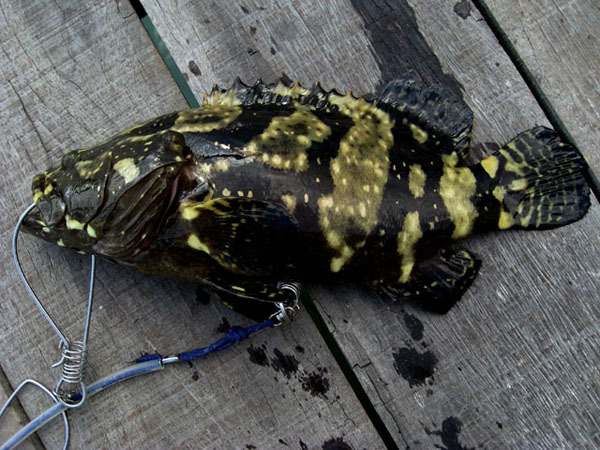 The most common fish caught on the kelong are groupers of different species. 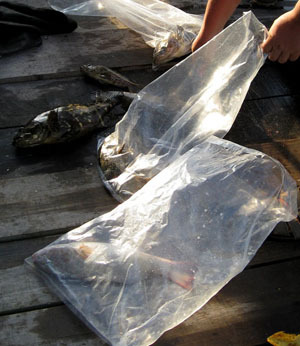 There are also grunters, snapper, stingray, catfish, toadfish, scats and the occasional trevally. Below is the contact information if you're interested.